The oldest leading edge baby boomers began turning age 66 last year and every month about 10,000 of us hit that age – a milestone and the age for full social security benefits. So we have decided to provide a page with information on social security for us baby boomers applying for social security. Signing up for social security benefits is the easy part and can be done within a few minutes online, by telephone or in a local Social Security office. The challenging part of social security is thinking about when you should retire in order to maximize your benefits. Below is a useful guide of what to consider when signing up for social security. Before you take the plunge and offer your notice, be sure to provide yourself with enough information to make an education decision. After all, your financial freedom could depend on this important move. In order to become eligible to receive Social Security benefits one must reach a particular age and earn enough ‘credits’ with Social Security. Working and paying your Social Security taxes earn credits. A person who was born in 1929 or later needs forty credits or ten years of work to qualify. Credit earning stops when you stop working. Also, if you do not have forty credits earned, you are not eligible for Social Security benefits. When Should You Take the Plunge – Retirement Age Considerations? Deciding to retire is one of the most important decisions you will make in your life and may require your spouse and family involvement. 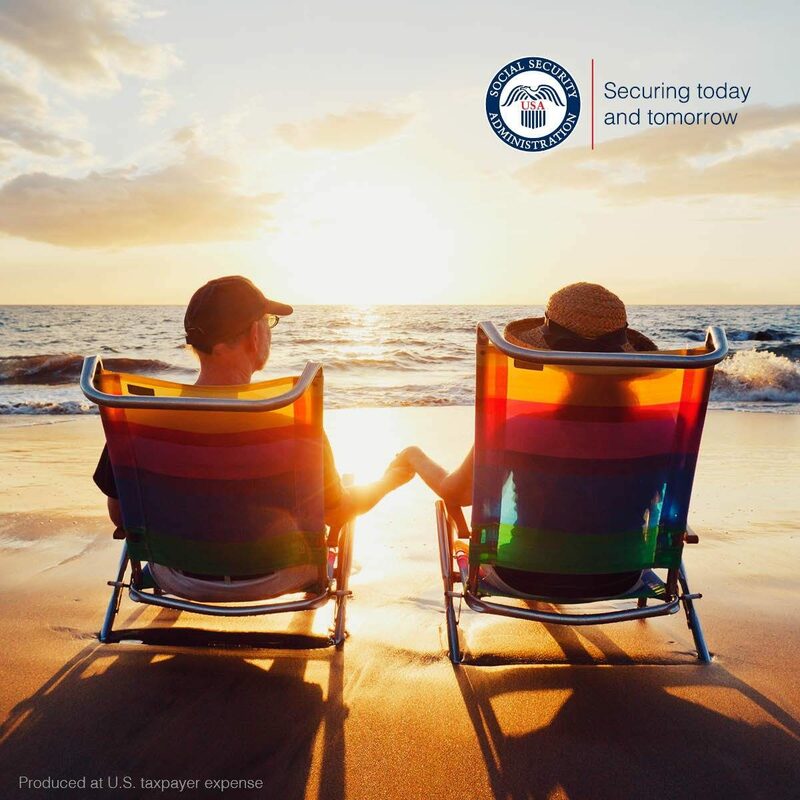 It is important to keep in mind that Social Security replaces approximately 40 percent of a person’s pre-retirement income, which means that if you can live a comfortable and quality life on 40 percent of what you were earning than retirement should be a no-brainer. However, according to financial experts the majority of people nearing retirement age can only get by with 75-80 percent of their pre-retirement income in order to live a lifestyle they are accustomed to. In order to draw full retirement benefits as offered by the Social Security Administration various age-related rules apply. For example, if you were born between the years 1943 and 1954, all of your retirement benefits may be drawn at the age of 66. However, if you were born in 1955, full retirement benefits can be drawn at age 66 plus two months. The Social Security office can provide you with the exact age requirements and when you are eligible for a full retirement benefits draw. The actual application process for Social Security retirement benefits is an easy one. You may apply online at the Social Security benefits website, by telephone or by visiting the local office in your town or city. It is important to have gathered all of the pertinent information needed before applying for benefits in order to make the process simple and efficient. Whether the application process is conducted online or in person, you will need to have available your Social Security number (the physical card is even better). Along with your Social Security number, be sure to have a copy of your birth certificate or paperwork showing that you are a citizen, military discharge papers if you served in the a branch, and your W-2 forms for the last year that you worked. If you were self-employed, you will need to have copies of your self-employment tax return. Many people eligible for Social Security benefits choose to have their check direct deposited each month. Your banking information should be readily available at the time of application. You will need your bank’s name, address, routing number and your account number, which is found on the bottom of your personal check. If you are visiting your local office, be sure to take your checkbook with you in case a cancelled check is required to set up direct deposit. This is the official government website for Social Security. You can apply for social security on-line or by phone and you don’t have to go into their office. Well social security system in US is the most efficient program i like. I wish all of the countries have such a great security program for insecure humanity being exploited all around. Thanks for sharing such a nice info. I wish all of the countries have such a great security program for insecure humanity being exploited all around. October 11, 2018 – Today’s inflation report means the Social Security COLA will increase 2.8% for 2019, the highest increase since 2011.